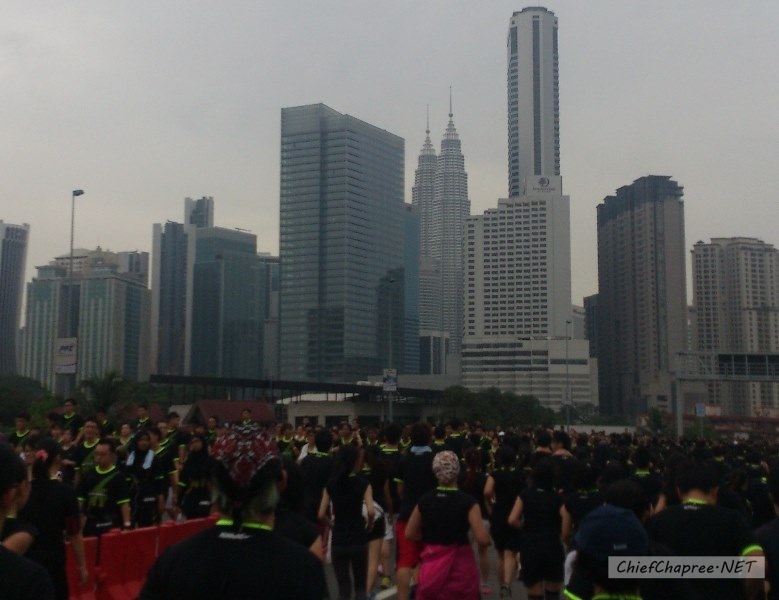 My Nike We Run 2012 adventures begun right here in Kuala Lumpur for a very simple reason: it is the first one in the series for Southeast Asia. 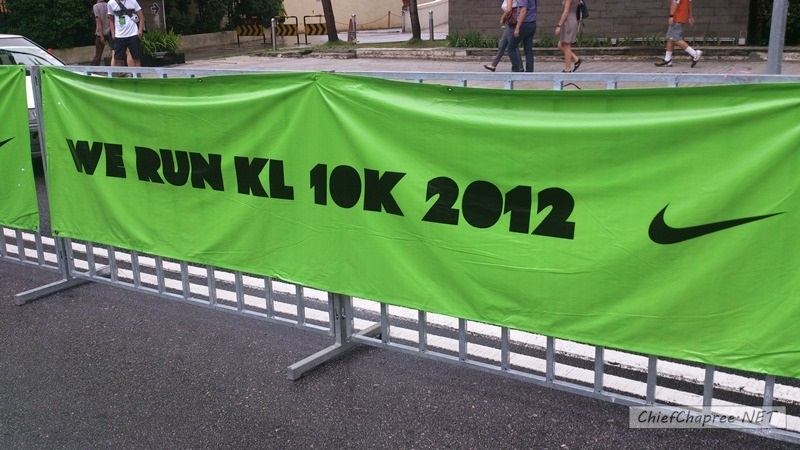 I would say that the 2012 edition is the most unique We Run KL that I’ve participated since the first one in 2010 because it takes place in early evening as opposed to early morning as per previous editions. 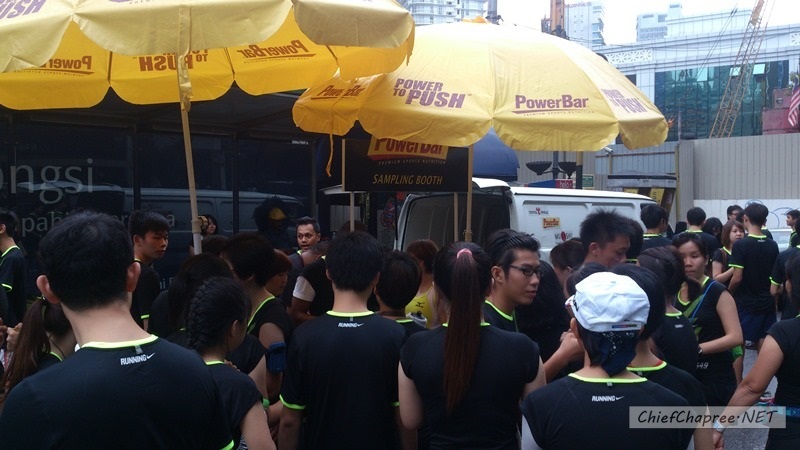 It is also the biggest We Run KL so far with 15,000 participants ceiling limit - which were all gone within 5 hours and 7 minutes after Nike opened up the registration process. 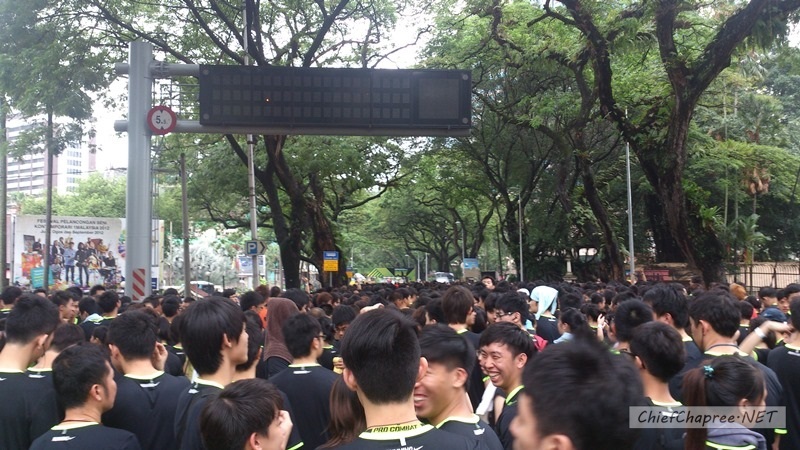 Out of those 15000, 12000 - still a massive number - of them actually made it to the starting line on 13 October 2012. Aight, enough chit-chat, time for them photos! Click on the link below to start. 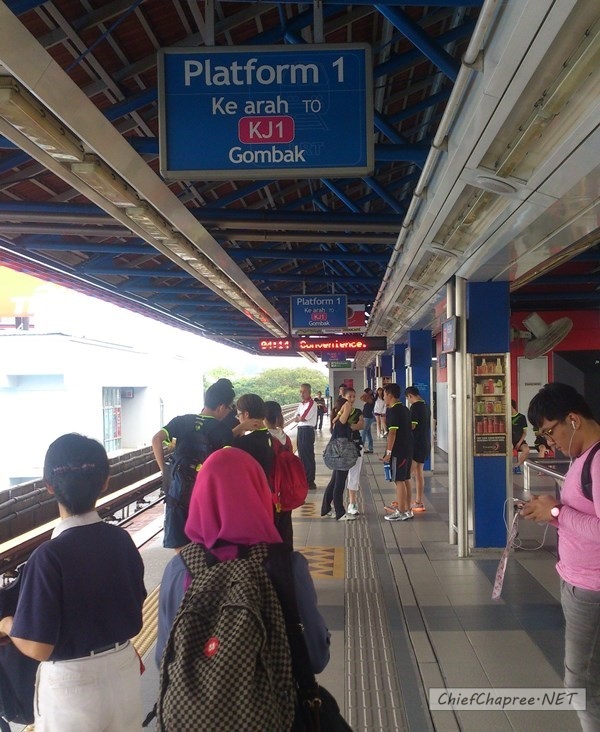 My Nike We Run KL 2012’s race day journey starts here: RapidKL Kelana Jaya station. As you can see, plenty of fellow runners chose to take LRT which I believe due to the fact that both the start and finish line are within the vicinity of LRT stations. 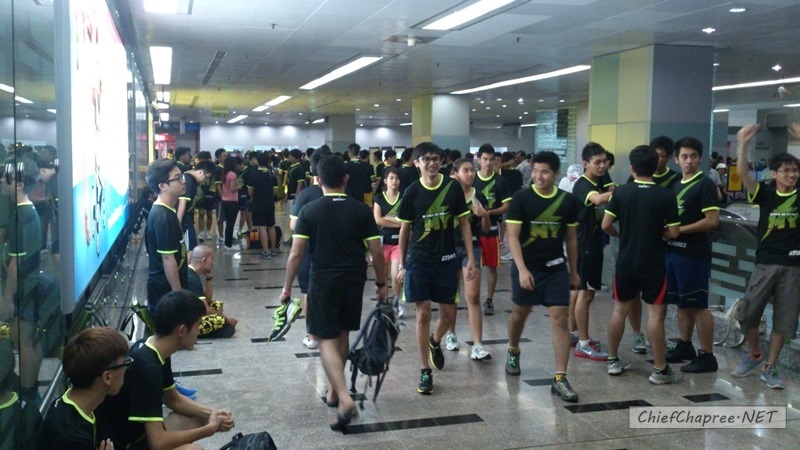 KLCC station - one of the closest station to the start line - was pretty much filled with Nike We Run KL runners. ,...and boom, this view welcomed me. Just check out that massive crowd - a clear sign on how huge is running in Malaysia. Since I arrived quite late to the starting area, I encountered some problem with my baggage since the event’s baggage deposit system was kind of a huge mess (will explain more later). 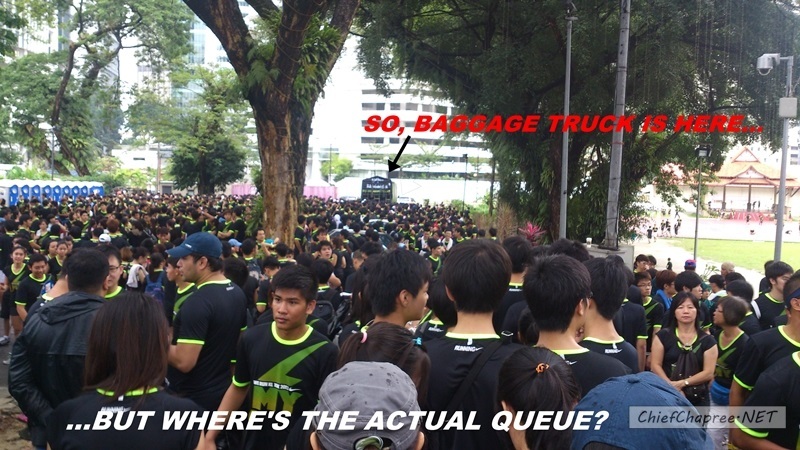 Fortunately, a friend managed to locate me in the queue and was really kind to take care of the bag while I’m running. 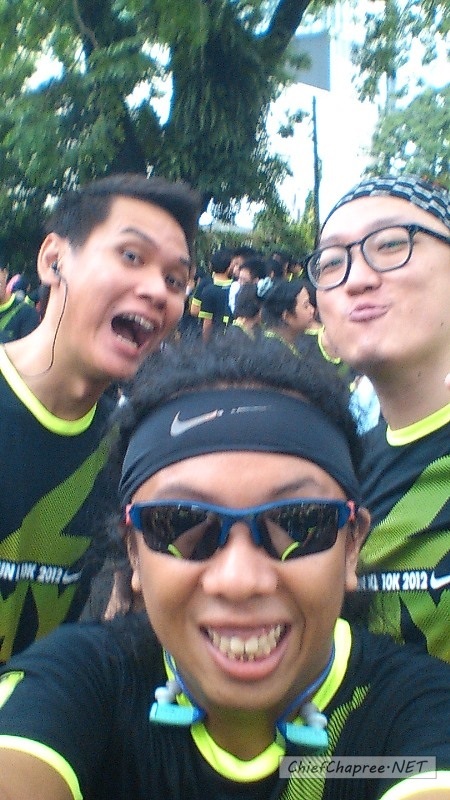 For Nike We Run KL 2012, I don’t have any target time or any intention to break my personal best. 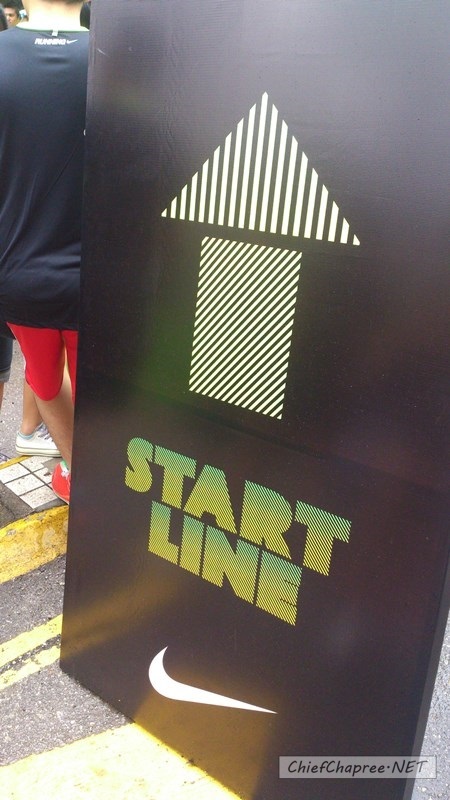 Instead, I’m there to pace two of my colleagues – LYN’s editor, Lucas and our junior writer, Pang – both are first time runners. Then, come the moment that all runners have been waiting for. Right at 530pm, the flag off begins! 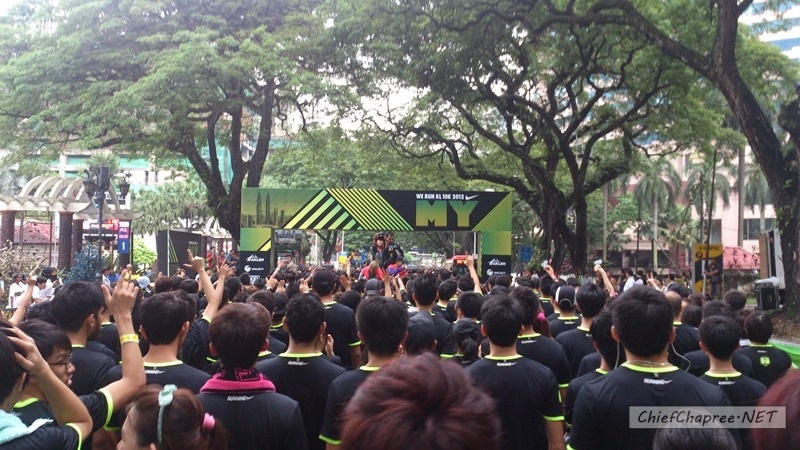 There are still more to come, so stay tuned for the second part of my day (with my colleagues) over at Nike We Run KL 2012!